The eagerly anticipated meet between the PPA and DoJ yesterday resulted in disappointment for US poker players with funds locked up in Full Tilt Poker accounts. 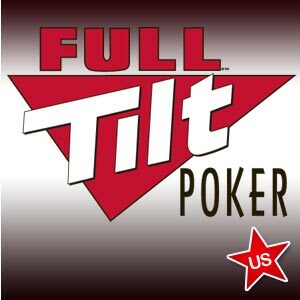 Following a meeting with the Department of Justice (DoJ) yesterday, John Pappas – Executive Director of the Poker Players Alliance – issued a statement admitting it was not good news for former US Full Tilt Poker players waiting for the return of their poker bankrolls. As reported on this site yesterday, one of Pappas´ main goals was to ask the DoJ to be more communicative with players regarding the progress being made in the remission process. However, as Pappas later related, the reason for the DoJ´s silence was that there was nothing to communicate. Reporting the meeting as cordial and productive, Pappas said that he and his legal team were able to put across to representatives from the Asset Forfeiture and Money Laundering division of the DoJ what the (former) poker playing community expected from the remission process and how the Poker Players Alliance believed the remission process should be administered. However, Pappas was informed that not only had no administrator been put in place to manage the remission process -despite an August 31 deadline – but the locked accounts of former Full Tilt Poker players were a long way down the list of priorities behind many other forfeiture cases being handled by an under-funded and under-resourced department. Thereafter, Pappas´ statement confirmed the Poker Players Alliance would continue to work with the DoJ to help the DoJ get the process moving as swiftly as possible and repeated its insistence that all US poker players receive 100% of their account balances and the value of accrued reward points through the remission process. The PPA statement concluded: This is certainly not good news for those poker players awaiting the return of their money.